Every so often during the year, CPS schools have a day off for students so that teachers and staff can take advantage of meaningful professional development opportunities. Even without kids around, Play with Potential staff found a way to get better at recess on November 7’s School Improvement Day, this time by hosting three trainings across the city all in one day! 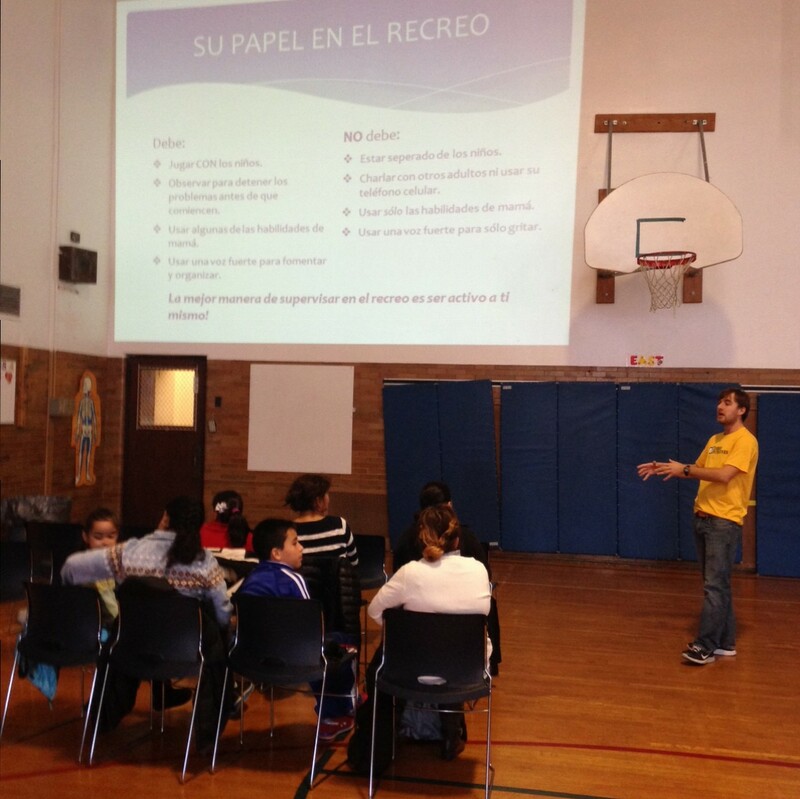 The morning started things off right with events an event for all McPherson staff in Ravenswood and a bilingual parent training at Pasteur in West Elsdon. Coach Andy went over the basics of sports-based youth development, playing games, and taking advantage of teachable moments with the McPherson crew, while Coach Paul talked to Pasteur parents about how to leverage their parenting skills with a few new tricks to better engage kids at recess.The Pasteur training even got a few kids involved, who gave a big thumbs up to some of our favorite games. That afternoon, Coaches Andy and Joy took the show to Claremont, hosting a joint training for new staff and Marquette and Claremont. The afternoon session was dominated by a younger crowd, which discussed ways that facilitators could use their “near peer” status to build relationships with the kids they were working with, getting them to do their best at play and at school. The best part of Friday’s trainings was the way they showed all their participants how they could make facilitate meaningful growth for their students while having fun at the same time. 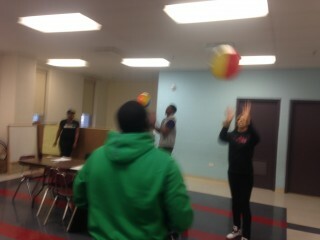 Through training, we can all get serious about having fun! Urban Initiatives wants to give a big thank you to McPherson, Pasteur, and Claremont for their help in hosting. We are sure that our work Friday will help hundreds of kids across Chicago have a safer, more active, and more fun recess every day!